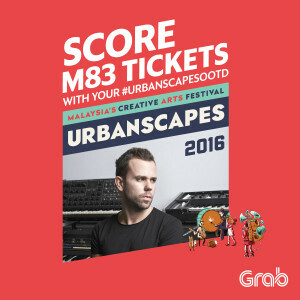 M83 LIVE @ Urbanscapes 2016! Participants must submit their photos via Instagram by tagging @grabmy with the hashtag #GrabUBS16. Tickets are not exchangeable for cash or for any other items. Winners will be notified via private message on their Facebook accounts by the 4th May 2016. Winners will have to collect their tickets at the ticket collection area at 6pm, 7 May 2016, and present their details for verification at KL Live Centre. 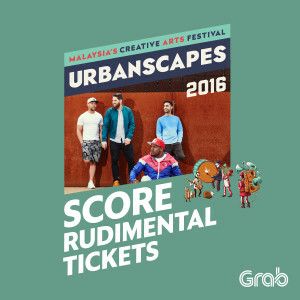 Win Tickets to Rudimental LIVE @ Urbanscapes 2016! Winners will be notified via private message on their Facebook accounts by the 28th April 2016. Winners will have to collect their tickets at the ticket collection area at 6pm, 1 May 2016, and present their details for verification at KL Live Centre. The Campaign will run on 26th April 2016 – 28th April 2016 (“the Campaign Period”). The Organiser reserves the sole and absolute right to alter or end the Campaign at any time prior to the expiry of the Campaign Period without giving any prior notice and no compensation in cash or in kind shall be given. HAVE A GREAT PARTY AT URBANSCAPES 2016 WITH GRAB! !